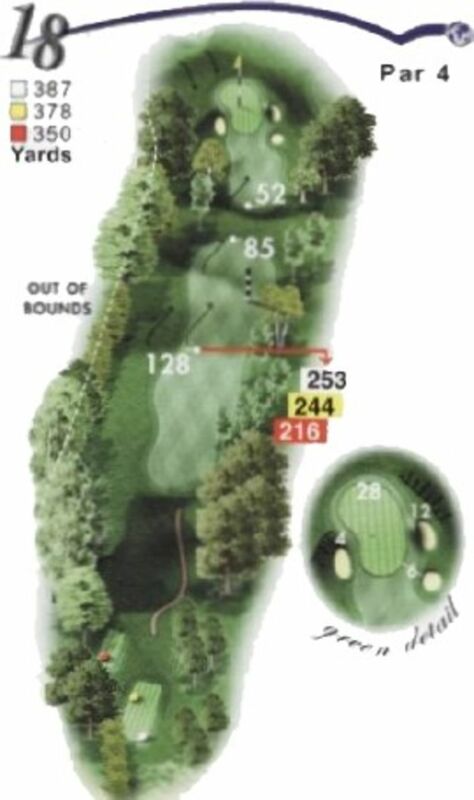 The ideal place to play your second shot from is the right hand side of the ledge. This fill give you a full view of the green. Good distance control is essential for this downhill second shot. The panoramic views from across Cardiff City Centre and the Severn Estuary are a fitting end to the round.